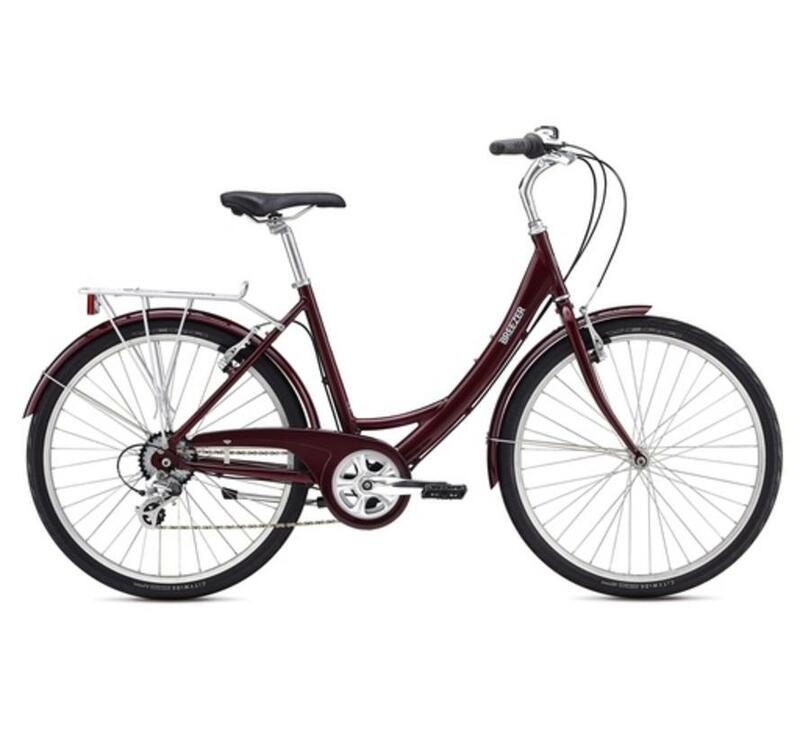 Designed to carry you and your cargo in comfort, Uptown models come with racks, fenders, kickstands, and bells. Models also come equipped with fully-enclosed chainguards that preserve the chain and clothing. 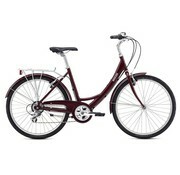 Rolling on durable 26" wheels, the Uptown provides a smooth ride. 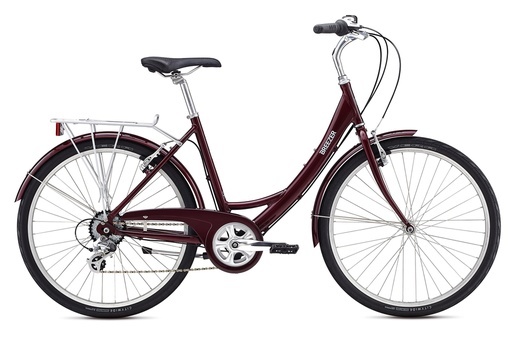 Gear Inches 29.1" - 76.0"
Breezer Uptown EX LS bicycle, 8 speed derailleur, fenders and rear carrier.